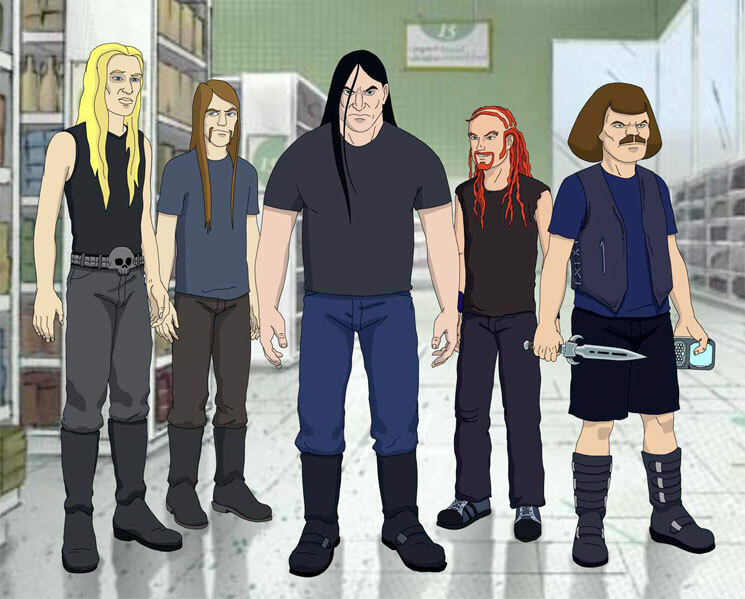 Bad news, Dethklok fans: it seems heavy metal cartoon Metalocalypse won't be coming back to Adult Swim anytime soon. This disappointing news comes from co-creator Brendon Small, who's explained that the network turned down a fifth season. His plan was to wrap up the show with a mini-series, but Adult Swim evidently rejected that idea. It's not all bad news, however, since Small promised that he won't leave the series unfinished. For those complaining about lack season 5. Was a network decision- I wanted to do it as a final big mini series. They said no. True story.
.@metalinjection I have plans to service a final story & music- but not in way fans are used to. That is all I can say. This update comes hot on the heels of a Metalocalypse teaser being posted on Adult Swim's website. Unfortunately, the teaser consisted entirely of old clips and didn't signify anything new on the way. There hasn't been a proper season of the show since 2012. In 2013, there was an hour-long rock opera special called Metalocalypse: The Doomstar Requiem. Meanwhile, an online petition has so far raised more than 5,700 signatures in support of a new season of the show.